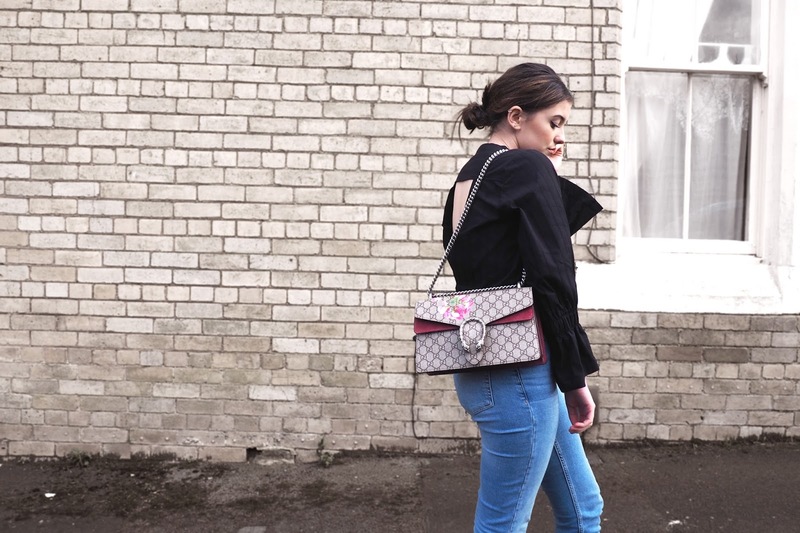 "Styling the Gucci Dionysus bag." You may have already seen my new purchase over on my Instagram the other day. But if not, say hello to my Gucci Dionysus! I've practically been spooning it when I go to sleep each night so I know it's safe. Then waking up only to spend the next several hours staring at it lovingly. I've basically been the living version of the heart eye emoji. I was pondering for such a long time about whether to take the plunge with this bag, especially with it being my first proper designer purchase, but after stalking every person who owned the bag since Christmas, I did it. And I do not regret it in the slightest. 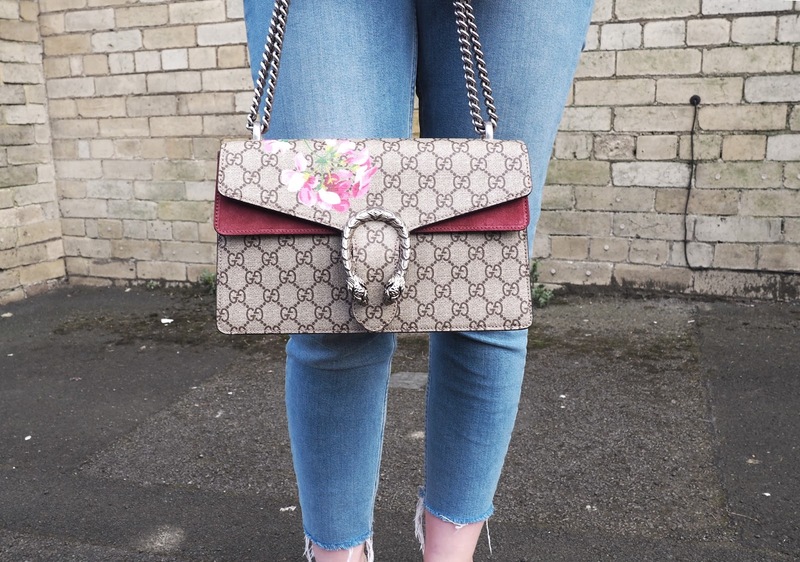 I feel like Gucci is such a timeless print, so it will never date, but the floral print makes it a little different from the majority of other bags, and I have no doubt I will be wearing this pretty much every day for the foreseeable future, so my cost per wear will be well worth it. 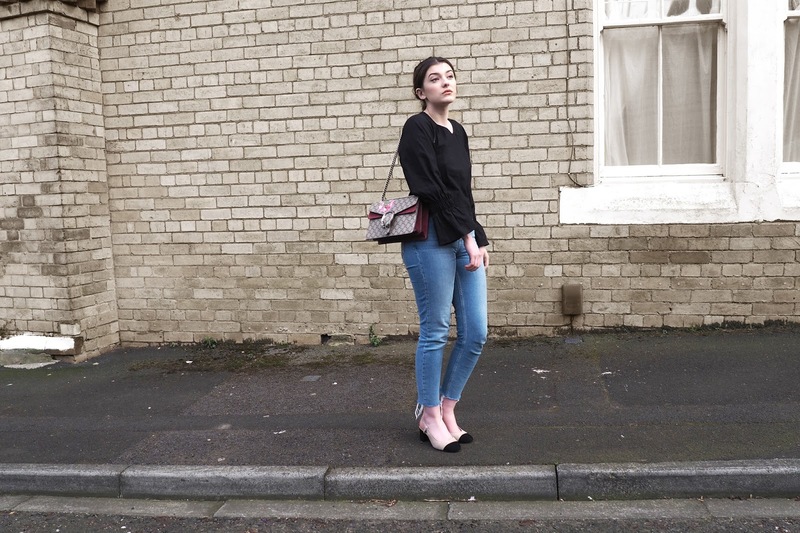 I adore that bag, and the way you've styled it is so chic! This is flawless. Oh you definitely made a good choice with this bag, it is so so amazing! I'm dying to get my hands on it!